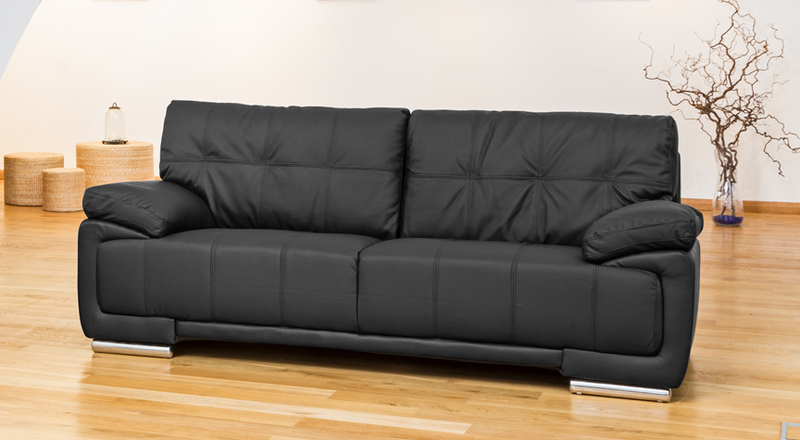 A gorgeous, high-quality top grain leather suite with stitching detail, in a truly modern design. It features contrasting, low profile chrome feet and deeply padded armrests for added comfort. These sofas are also very practical - they look great but will cope happily with the most energetic of families. 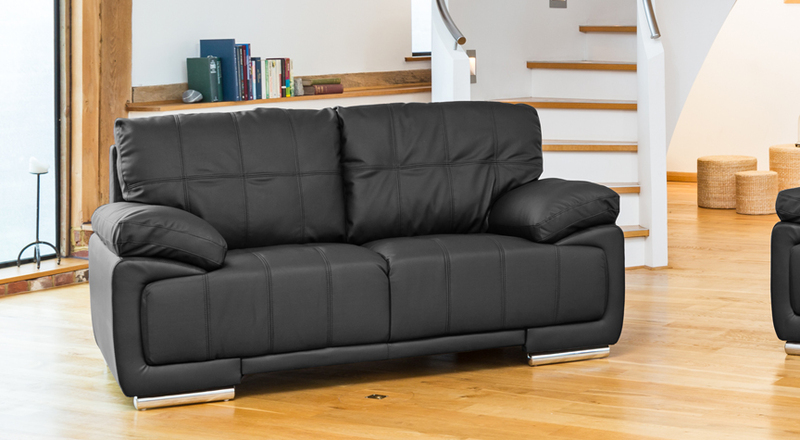 The sofa is covered in top grain leather, which gives it a great look and feel. So the sofa combines a great finish with a high degree of practicality. The foam in the seat cushions is of a high quality and protected by a thick felt envelope and the frame is double padded. All fillings are fully fire retardant and meet or exceed UK safety regulations.